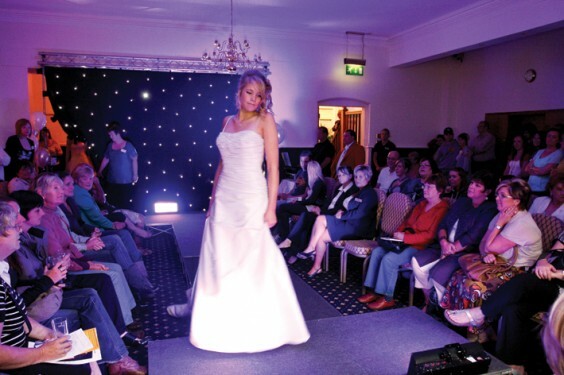 The Village‘s second Wedding Show held at Lickey’s Hillscourt Conference Centre was another big success, with scores of would-be brides and grooms taking the opportunity to browse a wide selection of wedding products and services from the local area. Flowers, music, photography and jewellery were just some of the essential elements on display, plus wedding cars and even a wedding boat! The event attracted visitors from as far afield as Cornwall, and there was plenty to keep them entertained – as well as the exhibition itself, we staged a catwalk show of bridalwear from Gatehouse Brides of Worcester, which was expertly compered by toastmaster Brian Crockett with sound and lighting provided by Inside Out Entertainment. Bliss Hair Therapy of Alvechurch and 2 Beautiful of Rednal created the models’ hair and makeup, watched by visitors who also had the chance to be “made over”. The free prize draw offered tickets to the NEC Wedding Show and Jacques Vert vouchers, while several exhibitors also ran their own competitions. A big thank you to everyone involved, especially our wonderful models!